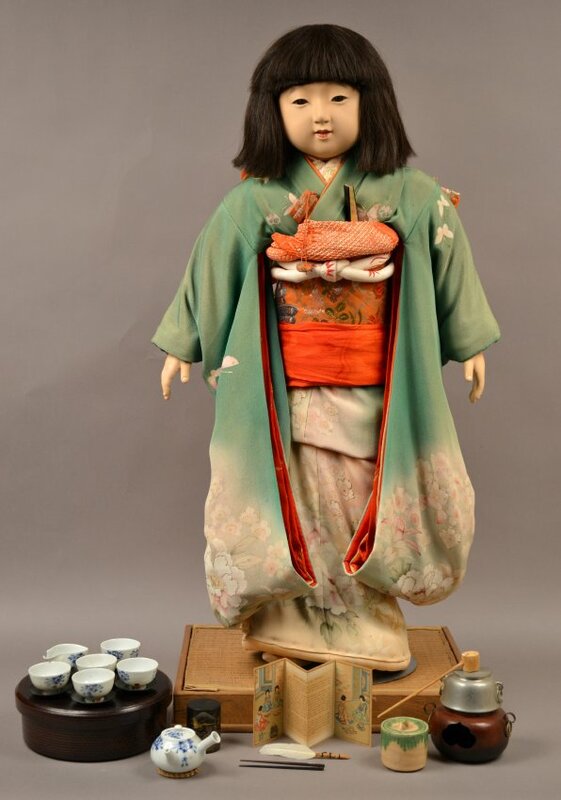 This teapot is one of the Miss Kyoto doll accessories. 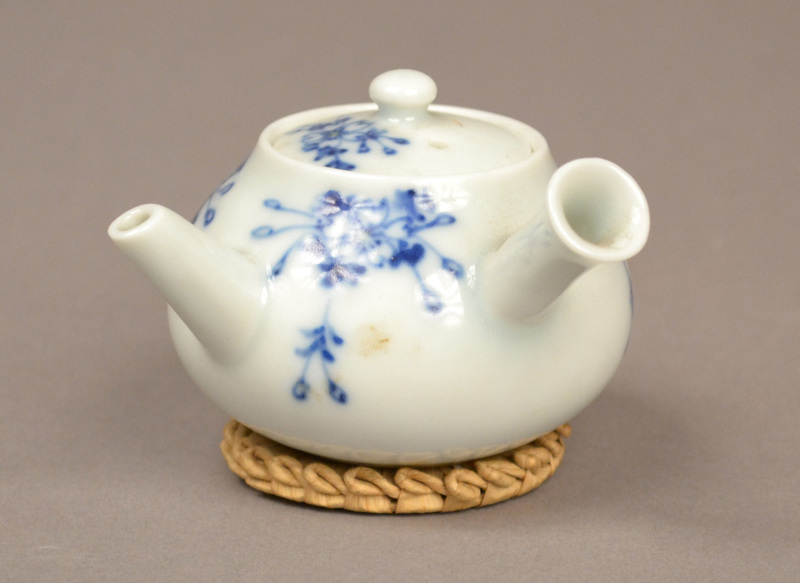 The teapot is made of white porcelain with blue flowers, and matches the teacups of AB 782.14. Its spout and handle are at right angles to each other; the handle is hollow. The set includes three pieces: the body of the teapot, a matching lid, and a circular straw trivet.